Ambre Bethoux, MA, R-DMT is a registered Dance/Movement Therapist who received her Master’s degree from Drexel University and joined the CNNH team in June of 2018. She trained in Ballet, Modern/Contemporary, Jazz, Hip Hop, and Flamenco for most of her life and pursued a professional career as a dancer after high school until she chose to attend Cleveland State University to complete her undergraduate studies in Psychology from Cleveland State University. 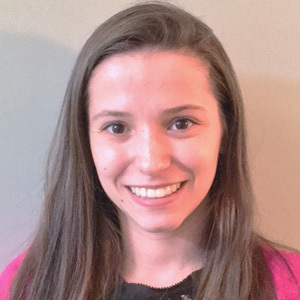 While studying at Drexel, Ambre completed internships at Friends Hospital, HMS School for Cerebral Palsy, and St. Christopher’s Hospital for Children. She gained clinical experience working with a wide variety of individuals, including adolescents and adults with severe chronic mental illness, substance abuse, and trauma, infants and children with varied medical illnesses and at end of life as well as those with intellectual and developmental disabilities, autism spectrum disorder, cerebral palsy, and other neurodevelopmental disorders. Ambre was drawn to dance/movement therapy as it embraces two professions that she loves, and she has seen and felt the positive therapeutic benefits within herself and her past clients. Ambre is excited to be a part of the CNNH team.